According to Syrian journalists, the girls were linked to another explosion on Friday. 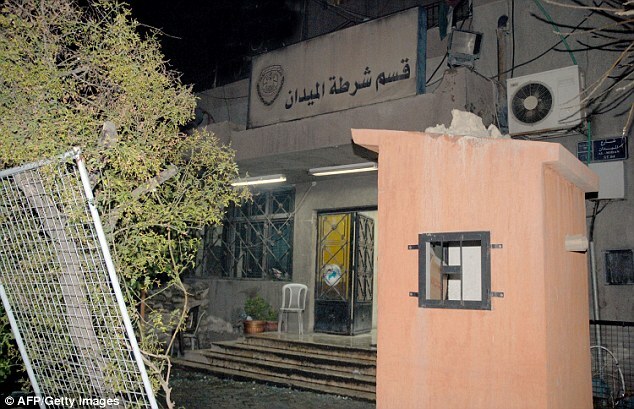 While it’s not clear which jihadist group was behind the attack, a police source told Al-Watan that the little girl had appeared lost and asked to use the bathroom when the explosives went off wounding three police officers. I wonder when these parents will be blowing themselves up. Seems their women and children are pretty disposable. Such a tragic story of brainwashing and murder. This is the moment jihadi parents kissed their daughters goodbye shortly before one of them walked into a Syrian police station and was blown up by a remote detonator. 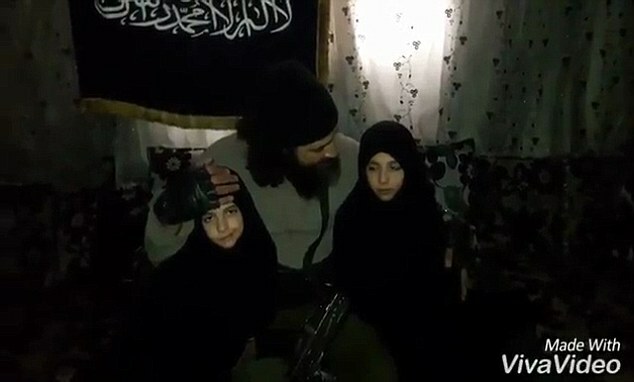 Footage shows a male fanatic lecturing the two children, seven and nine, about how to carry out suicide bomb attacks before they are embraced by a woman in a burka. A short time later, the seven-year-old is thought to have walked into a police station in Syria’s capital, Damascus, before being killed in an explosion. With music in the background and sitting in front of a black and white flag, the ranting extremist holds the girls in his arms as he brainwashes them. Both girls then say ‘Allahu Akbar’ before separate footage shows them dressed in coats and woolly hats as they embrace their mother and leave the room. A short time later, on December 16, a seven-year-old girl calmly walked into a Damascus police station before being killed in a bomb blast that also injured three officers.